Chinese smartphone maker Xiaomi today launched its latest budget offerings, the Redmi Note 5 and the Redmi Note 5 Pro in India today. Xiaomi has partnered with Indian telecom operator Reliance Jio to offer a cashback of Rs. 2,200 and additional data offers for Redmi Note 5 and Redmi Note 5 Pro users who use Reliance Jio. 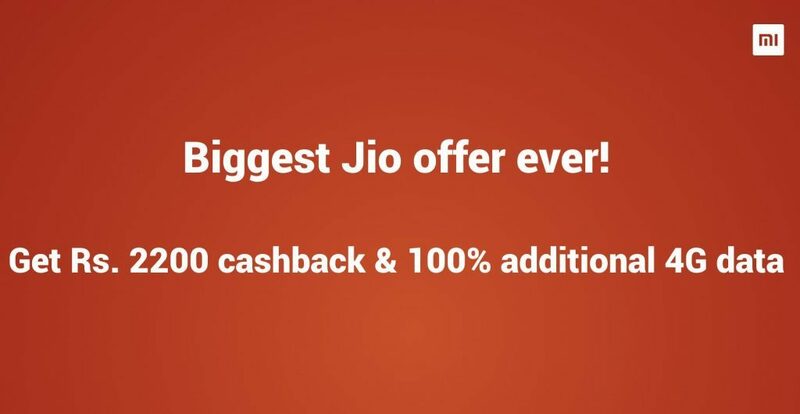 Xiaomi has claimed that this is the biggest Jio offer ever and this is somewhat true when you consider all the benefits that are being offered under this plan. The offer provides a cashback of Rs. 2,200 to Redmi Note 5 and Redmi Note 5 Pro users along with double data benefits. First, Reliance Jio will offer a cashback of Rs. 2,200 in the form of 44 vouchers worth Rs. 50 each. The Redmi Note 5 and Redmi Note 5 Pro users will get these vouchers after they first recharge with the Rs. 198 or Rs. 299 plan. These vouchers can be used to get a discount of Rs. 50 on the user’s next 44 recharges of Rs. 198 or Rs. 299. It must be noted that these vouchers will not be valid on any other plans and they are not transferable. Next, the company is providing double data benefits on all plans above Rs. 198. However, the double data benefit is available only for the first three recharges only. Suppose, if you recharge with the Rs. 198 plan, you will get 112GB of 4G data instead of the usual 56GB of data.